Recently, I visited the House of VR at on Queen St. W. at Bathurst St. in downtown Toronto. I wanted to try out their VR games. It was my first time and I wanted to experience the virtual reality for myself. The House of VR has a handful of arcades around the city that offer VR games and the storefronts offer a wide range of games in large spaces. I went with two other people and we played the VR games. It was a 3 player game (not a multiplayer game) for 30 minutes with one VR headset and the price was $30. Each player took turns to play the VR games so it was 10 minutes for each. There were many booths for the groups outfitted with green screens for hourly sessions. There was also a television set which displayed the user inside the virtual reality game. After I put on the headset, the first thing I felt was excitement, the fact that I was inside the game but I had a lot of doubts as to where to go and what to do next. I had one of the staff from the house of VR guide me at the start. The guidance helped me get started and once I got the hang of it, I started having a good time. I learned how to use a gun in the virtual world and I felt like I was in a Call of Duty or Doom game, shooting monsters to gain points. It was my first experience using a virtual reality headset. Although fun, the headset can be uncomfortable; it was heavy and tight. Since there are too many wires, it was difficult for me to remove the headset. The tightness and heaviness of the VR headsets can lead to many health problems such as migraines so I hope this can be resolved in the future. I had knee pain on my left leg before I tried the VR experience and when I jumped from a building in the game, I had a feeling that the ground was shaking, and as a result, my knee started hurting even more. This took place a few seconds before the game ended. The overall experience was fun as I put all my energy into the VR game. I was also mesmerized and very impressed with the graphics. Technology is very exciting in the future as it is rapidly changing in the VR industry. What VR games have you tried? What did you experience? Leave a comment below. Also, check out the article written by Zach Kotzer about the virtual reality lounge in the House of VR. 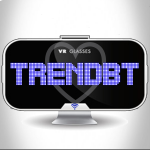 Trend Business, Technology (TrendBT) is an online platform for content writers to express their passions for business and technology, mainly focusing on virtual reality (VR) and augmented reality (AR) marketing. Saqif majored in Science and Business at WLU in Waterloo, Canada. He is also exploring a career in digital marketing and entrepreneurship as well as investing. Saqif is experienced in Social Media Marketing with a demonstrated history of working in the non-profit organization management industry. He is skilled in Public Speaking, Time Management, Teamwork, Leadership. Strong media and communication professional with a Post Graduation Certificate focused in Marketing from Conestoga College. In his spare time, he enjoys watching DC comics movies, listening to music, and keeping up-to-date with the latest technology. Saqif is a huge fan of VR and AR marketing.